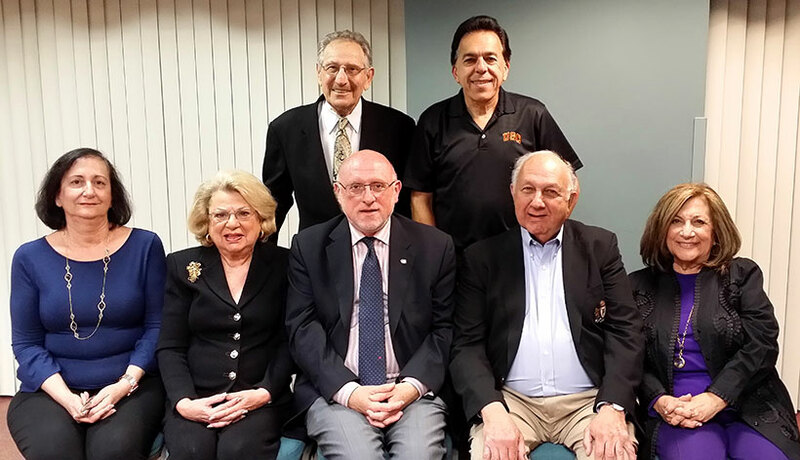 The Ararat Home Board of Trustees re-elected its executive committee officers for another year of dedicated service on March 27, 2014, in Mission Hills, California. Among those entrusted to guide the organization through another outstanding year of growth is Chairman Joseph Kanimian. Attorney Kanimian was elected as Chairman of the Board of Trustees last year and, along with members of the Building Committee co-chaired by Nazar H. Ashjian Jr., CPA, successfully oversaw the completion and opening of the Avakian Wing, the addition of a 58-bed unit in Ararat Nursing Facility. Trustees expressed their appreciation of Chairman Kanimian’s commitment to the mission of Ararat Home and conveyed their trust in his leadership and vision. The other officers of the Board of Trustees who were re-elected include: Mr. Ashjian Jr., CPA, as 1st Vice Chair, Nora Hampar as 2nd Vice Chair, Nadya Verabian as Secretary, Debbie Avedian as Assistant Secretary, Michael Surmeian, CPA, as Treasurer and Ron Nazeley as Assistant Treasurer. Upon re-election as chairman, Mr. Kanimian stated: “I would like to express my gratitude to the Board for its confidence in my leadership. I am truly blessed to be surrounded by dedicated individuals who do their utmost for the Home. I am also thankful to our employees, volunteers, guild and auxiliary members, and contributors for their unparalleled support of Ararat Home.” Reflecting on the challenges ahead, Chairman Kanimian states that the principle objective of the Board is ensuring the well-being of “our elders”. To that end, the Board will be planning new projects and striving for new levels of success in the coming months. Ararat Home of Los Angeles has been recognized many times for the exemplary service and care it provides for over 300 residents. The Assisted Living Facility has received zero-deficiency ratings for seven consecutive years from the California Department of Social Services for meeting all standards and having no violations. Similarly, Ararat Nursing Home and Ararat Convalescent Hospital in Eagle Rock continue to hold five-star ratings from the U.S. Department of Health and Human Services’ Centers for Medicare and Medicaid Services, which is the highest rating given to such facilities.